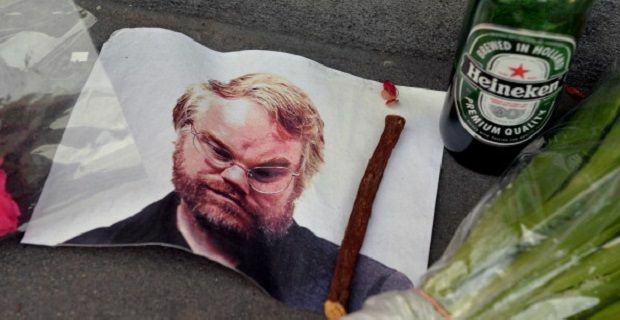 NYPD officers have arrested four people on drug charges just days after Philip Seymour Hoffman died from an overdose. Sources say that 350 bags of heroin were found in the raid in Lower Manhattan. Police officers in New York are not yet linking the arrests to the actor’s death but they haven’t completed their enquiries. The Oscar winning actor’s death shocked the acting world on Sunday and it continues to confound those closest to him. The 46 year old’s body was found at his home in Greenwich Village with a syringe in his arm. More than a dozen heroin bags were found with the body and reports suggest that Hoffman visited his local ATM on six occasions on the day before his death, withdrawing $1,200 in the process. Police continue the process of piecing together Hoffman’s final hours using CCTV and his computer records to work out the actor’s last movements. In the meantime, the acting world has been mourning the loss of one of its finest actors. Lights along Broadway are being dimmed in honour of him and some of the world’s top stars have paid tribute to him. “I'm very, very saddened by the passing of Phil. He was a wonderful actor. This is one of those times where you say: 'This just shouldn't be'," Robert De Niro said. Hunger Game star Jennifer Lawrence, described him as an "such an incredible actor". Hoffman is survived by his partner Mimi O'Donnell and three kids. His family are planning a private ceremony for his funeral which will be “for the family and close friends” only. No dates have been given for fear that paparazzi and press will find out.